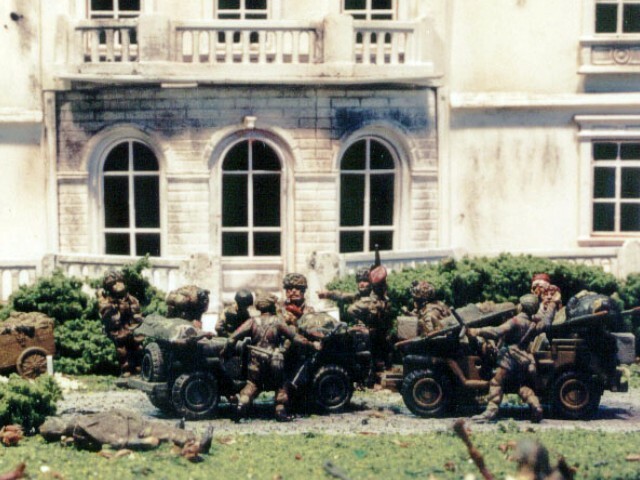 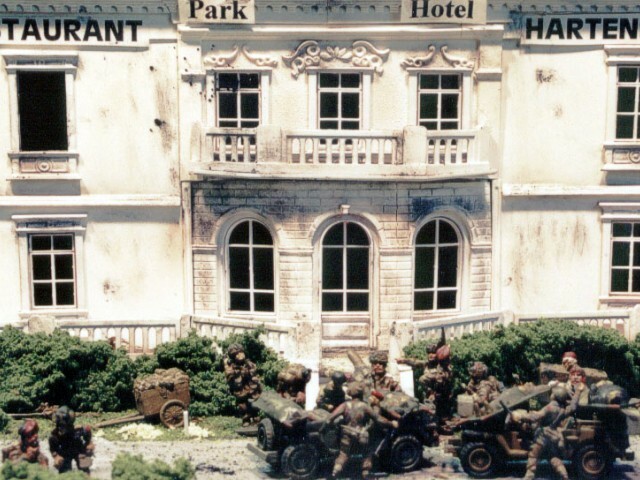 This is diorama includes scratchbuilt building of Hartenstein Hotel. 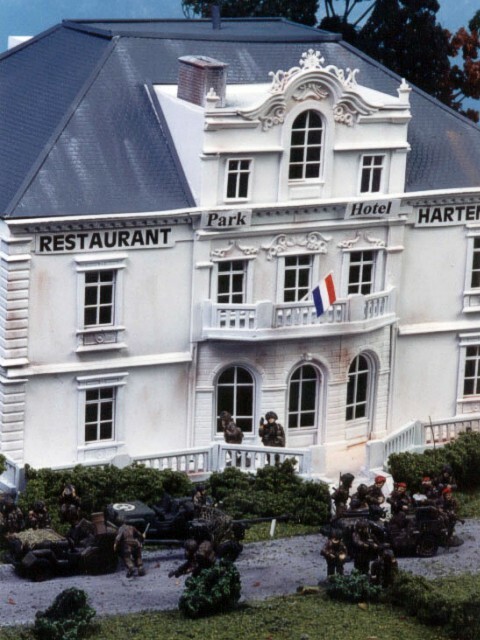 This hotel served as defence centre of British 1.Airborne Division after they failed to hold Arnhem bridge on 17-September 1944. 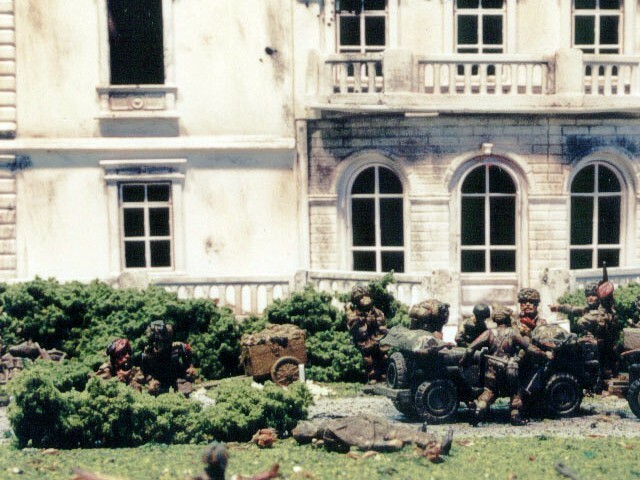 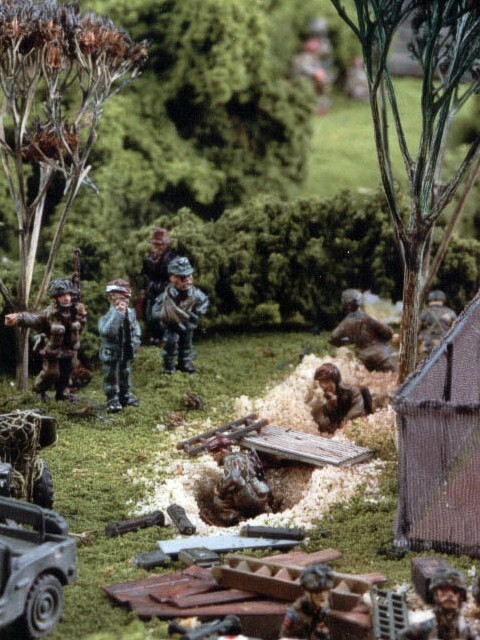 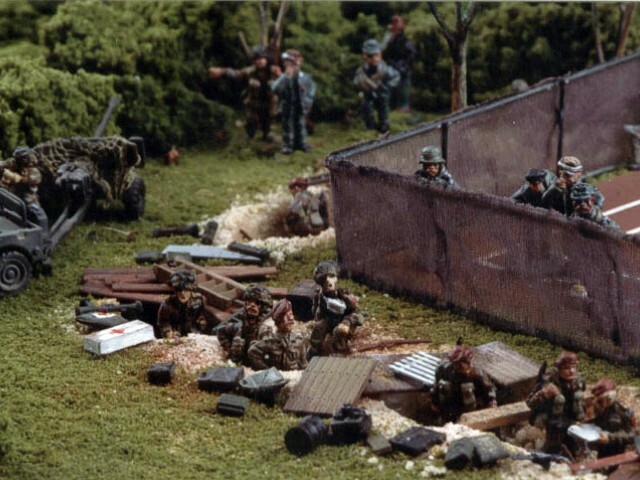 This diorama is on permanent display at Oosterbeek, Holland.